Princess Marie in her first Romanian peasant costume (from the Arges ethnographic region) given to her by King Carol as a wedding gift. Romanian peasant dress was introduced for court festivities and ceremonies by Queen Elizabeth. 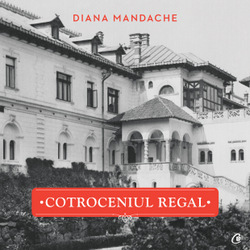 The peasants were identified in the national ideology as the quintessential Romanians and many among the Romanian elite started in that period to follow the court’s example and express their national identity by wearing peasant attire when participating at national events and other festivities. 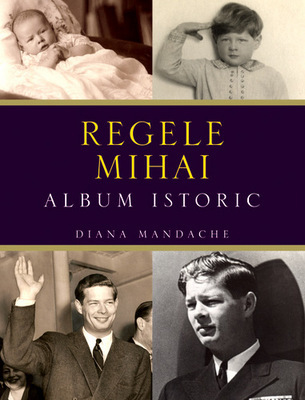 Princess Marie from the very beginning wrote to her mother: «The other day there was a charity ball here, and everybody came in Romanian costumes, it looked so pretty». The picture frame illustrated above is on the same pattern as the one described in the precedent article, as Brancovan church portals. The Byzantine arch is adorned with geometrised Georgian and Armenian latticework motifs inspired from the Curtea de Arges cathedral, supported by two short columns decorated with the rope symbol (they can also be interpreted as a mixed representation of the ethnographic motif of the rope and Solomonic column shaft). The pediment of the arch contain two beautiful six ray solar discs inspired from the Indo-European ethnography. Fittingly the photograph hosted by this frame is that of Crown Princess Marie in the 1890s, in a Romanian peasant costume. V. Mandache. Great Queen ! Stunning ! Thank you ! Reblogged this on Diana Mandache: Jurnal de Istoric. vä felicit pe voi toti si sper ca acuma sä se aleagä Monarhia a Romäniei, pentru a conduce tara si prin multe greutäti prin care trece Romänia. Am o dorintä micä la voi toti. Ar fi posibil, de a inhuma, mai bine zis de a ingropa, inima M.S. Regina Maria a Romäniei , färä casetä, intr-un locas frumos bisericesc. Sper ca visul meu sä se indeplineascä. Vä multumesc foarte mult. 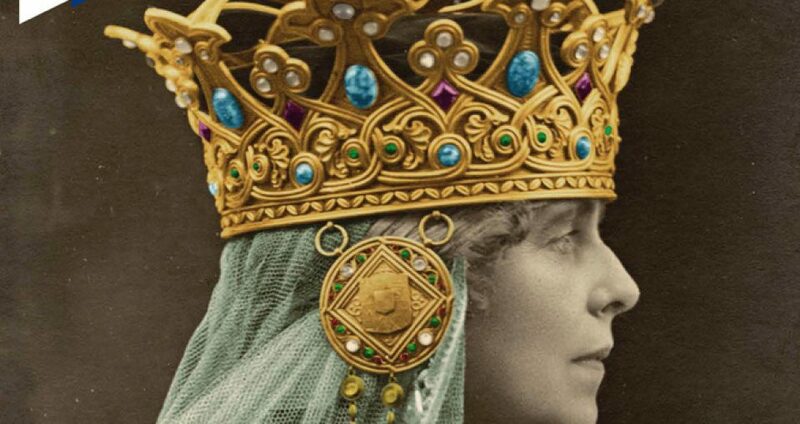 Am citit istoria diademului Greek Tiara. Fiecare object al casei regale are o poveste frumoasä, s-au tristä. Aceastä tiarä frumoasä provine de la sora reginei Maria,adicä din familia a tarului ruseascä, care se numea Victoria-Melitta. Regina Maria a cumpärat mai multe bijuterii, pentru a le salva din cauza comunistiilor rusi. Le-a vändut si la unele case europene regale. Bine a fäcut regina Maria. Ea a fäcuto cadou cänd s-au cäsätorit Regele Carol II. cu Regina Elena. Dupä aceea a mostenit-o Regina Anna si dupä aceea Principesa de coroanä Margareta. Ce bine ar fi, dacä s-ar zice ” M.S. Regina Margareta a Romäniei”. Vä felicit deja de acuma.